When Coverage Isn’t So Clear - Scarsdale Premier Insurance Agency | Advocate Brokerage Corp. Does Your Homeowners Insurance Cover a Business Event? Will you be inviting your clients and business associates to your home for a gathering this summer? If the event includes a business presentation or discussion of a deal, you should think twice about your insurance coverage. Legally –for insurance purposes – a business-related gathering may be quite different than hosting a cookout for your cousins and their kids. 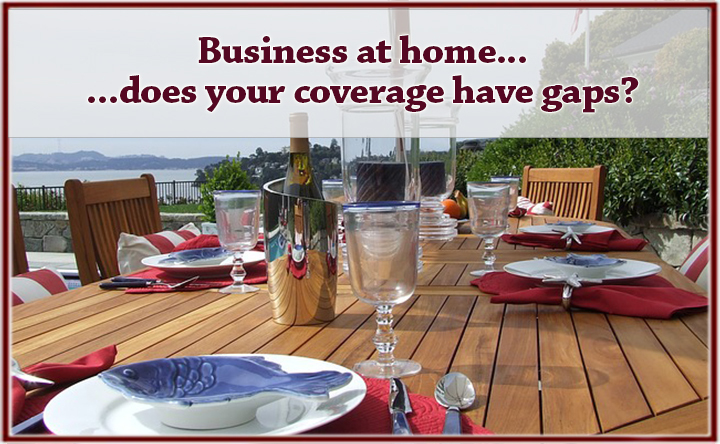 First, your homeowners insurance may not automatically cover a business event at your home. You are better off doing some doubling checking; you could be required to buy extra insurance such as umbrella coverage to supplement that homeowner’s policy. According to AllLaw.com, a legal website, any person invited into your home to for an event related to business becomes a business invitee. You owe this person the highest duty to provide a safe visit, and you could be liable for any injuries sustained by the visitor or for certain damages that occur as a result of the business visit. In some ways, this parallels operating a home business, where you would have clients in your home office for a business meeting. However for a home business, you normally carry a general liability policy that already provides coverage for any anticipated issues. Second, you’ll look to your company’s general liability policy for coverage. Commercial general liability (CGL) insurance usually covers entertainment and events that are part of the normal course of business, even if they occur at a restaurant or a trade show. (Policies for home-based businesses usually offer much the same coverage.) However if you are a business owner whether small or large, if you use your home to entertain clients and co-workers, you should make sure that you don’t have a gap in coverage. Suppose you have a gathering of business invitees where you serve alcohol alongside your hot dogs and hamburgers? If one of your guests becomes intoxicated and has an accident on the way home, any potential liability that you incur may apply to your business, and its general liability policy, rather than to you as a social host and thus to your homeowners insurance. At Advocate Brokerage, many of the insurance companies we partner with have anticipated this need and cover special events as well as unusual business circumstances. These companies offer riders and specialty policies tailor-made for such situations. Are you planning a business event this summer? Give us a call and we’ll help you determine what coverage you have, and what you may require, to ensure that you and your business are fully protected.